Pain on the left side of your body might mean a lot of things. Here’s what might be going on and when you need to worry about the pain on this area. When you have pain anywhere, it can make you very worried. But when you have pain on left side of body, and that’s the only place, you might start to wonder just what is going on there.The pain you feel might be sharp, or it might be a dull aching. It might be there all the time, or it might come and go. In many cases, pain on this area turns out to be a chronic condition, which makes it even more important to find answers about why you are hurting so much. Why Do I Have Pain on the Left Side of Body? The following contents explain why you have pain on all the left side of the body, from shoulders to legs. If you just want to know why you have pain on the left side of abdomen, click HERE. If you deal with widespread pain with no apparent reason, especially on left side of body, as well as cognitive changes and serious fatigue, you might be suffering from fibromyalgia. This mysterious condition doesn’t seem to have any particular cause that doctors can pinpoint; however, it might be genetic, caused by previous physical trauma or infections, or might be due to nerve damage. Medications such as anti-seizure drugs, antidepressants and pain medication can help keep this condition under control; as of yet, there is no definitive cure. When a nerve has been pinched or otherwise damaged, it can lead to serious pain in a variety of places, including pain on left side of body. This pain might come on very suddenly, sometimes as the result of the way you moved or some type of injury; other times it might simply appear over time and get worse. 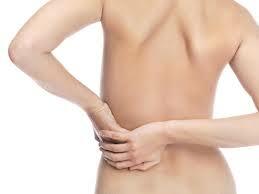 In addition to pain, you might also suffer from tingling or numbness. Sometimes a pinched nerve is misdiagnosed, and the problem is actually thoracic outlet syndrome which will be discussed below. TOS occurs when there has been some sort of damage to the nerves and vessels between the clavicle (or collarbone) and the first rib. This can result in pain, numbness or tingling in neck, arm and shoulder. Sometimes it can be impossible to pinpoint why TOS happens, but getting relief is often the same no matter the case: Pain medication, physical therapy and in serious cases, surgery might be recommended. Since pain on the left side can be tough to pinpoint and treat, there are many people who suffer from this without an end in sight. Other explanations might be stress, nutrient deficiency, abdominal and digestive tract issues, kidney problems, autoimmune diseases like myasthenia gravis, nerve injury, brain nerve issues, etc. Since pain on left side of body can be tough to pinpoint and treat, there are many people who suffer from this without an end in sight. Here are some first-hand accounts of dealing with this type of pain, and possible approaches you might discuss with your doctor. If you feel pain in your jaw, especially on the left side, that might be indication of a heart attack. Though it isn’t what is depicted in the movies, heart attacks often cause jaw pain, neck pain, indigestion, anxiety and other severe symptoms. If you are also short of breath and notice the pain increases with exertion, get to the hospital. Pain in one leg might be a sign of deep vein thrombosis, or a blood clot that has lodged in your leg. This can be a serious issue, not only because of the problems that lower circulation in your leg can cause, but because the clot could break away and travel elsewhere in your body. If your leg hurts and it is also warm and swollen to the touch, get to the hospital. Pain in the abdomen on the left side could indicate something serious going on, such as gallstones, pancreatitis, an inflamed appendix and more. If you are dealing with pain that comes and goes, pain that is there only after you eat, or pain that refuses to go away even with over the counter meds, call your doctor. Many of us suffer from pins and needles from time to time, and it goes away quickly – that is nothing to worry about. But when the feeling persists for a long time, or is accompanied by muscle weakness, it could be a sign of a stroke or other serious problem. That warrants a call to the emergency services.